This is the second set of memoirs by Sangharakshita. In 1950 Kalimpong was a lively trading town in the intrigue-ridden corner of India that borders Nepal, Bhutan, Sikkim and Tibet. Finding a welcome in this town, nestled high in the mountains, were a bewildering array of guests and settlers: ex-colonial military men, missionaries, incarnate Tibetan lamas, exiled royalty and Sangharakshita, a young English monk attempting to establish a Buddhist movement for local youngsters. 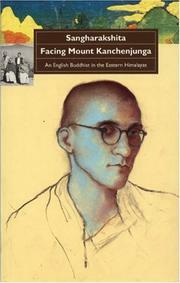 In this delightful volume of memoirs, Sangharakshita shares the incidents and insights of his early years in Kalimpong. These include brushes with the Buddhist ‘establishment’, a meeting with the ‘Untouchables’ saviour Dr B.R. Ambedkar and his friendship with Lama Anagarika Govinda. Behind these events we witness the development of this remarkable young man into an increasingly effective interpreter of Buddhism for a new age.